Across any industry, silo management brings a similar set of pain points for the operations team involved. Often, inventory must to be stored within a certain range of conditions. Failure to do so can cause anything from spoilage (think agricultural products) to safety hazards (think flammable chemicals). As you can imagine, none of those scenarios are great for an organization’s bottom line. To mitigate associated risks, organizations often engage field crews that conduct regular checks on storage conditions and report problems. This manual approach comes with the need to manage and coordinate personnel and, from our experience, forces managers to counterbalance labor cost with information collection frequency/accuracy. As a result, in practice, even when the wrong storage conditions are detected, this is often not done in time to mitigate the damage. Assuming the teams are able maintain adequate silo storage conditions, there still remains the question of fill level: having the right stock volumes at the right times. As silos generally process both inbound and outbound deliveries, it is vital to have both enough available storage space to accommodate inbound shipments, as well as to have sufficient stock levels to fulfill outbound orders. When either of those criteria are not met, costs can rapidly accumulate as orders must be rerouted to other locations. The problems described above have remained consistent across most silo management operations until recent developments in IoT technology have allowed meaningful breakthroughs. By integrating live sensor data on fill levels and storage conditions with core business applications, silo managers are now able to make better, faster, decisions on their operations. By combining a live feed of data on storage conditions from within the silos with system-defined thresholds and predictive algorithms, a single operator can manage-by-exception dozens of locations spread across vast geographic areas from a single dashboard. Rather than having to coordinate a constant rotation of inspections and urgent responses with all the associated costs, the operator can immediately alert a nearby maintenance crew before any serious inventory damage occurs thus, again, saving on spoilage costs. Fill rate monitoring can provide value as a standalone initiative by allowing you to detect any leaks or theft. However, the biggest benefits lie in the integration of live silo fill levels with inventory movement data: both for the inbound replenishment as well as outbound orders. In its simplest terms, the presence of live IoT information allows us to ensure that the silo is neither too empty nor too full. If outbound orders are scheduled, the required order quantity is compared against projected stock levels, and if the latter is insufficient, a replenishment order can be automatically triggered. At the same time, if a silo is due to receive an inbound delivery but there is insufficient storage capacity, the order can be re-routed to a better-suited location. Both scenarios provide tremendous value by avoiding costs associated with last-minute adjustments, idle times due to inaccurate planning and late deliveries. 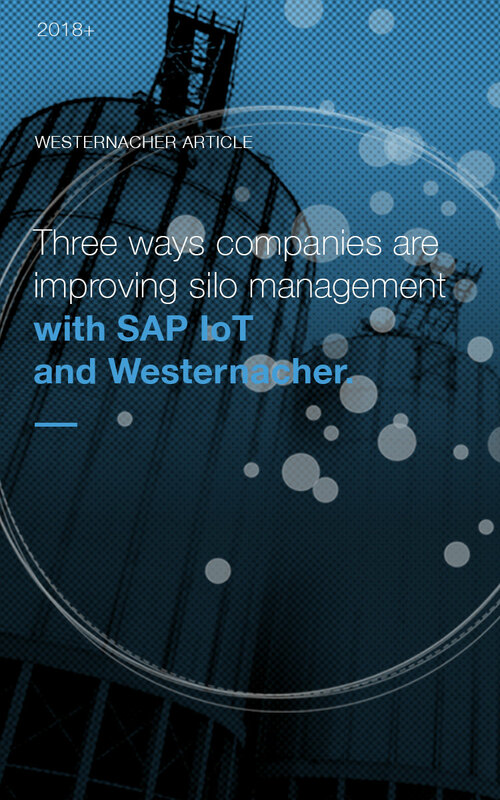 An IoT initiative has the potential to provide a holistic and intuitive overview of all the silos relevant for a specific user. By integrating live sensor readings with business data, such as silo content and delivery schedules, as well as external factors such as weather, it is possible to give the silo manager a second-by-second view of his/her entire operation. By providing the most relevant information, in a timely and actionable manner, this IoT dashboard empowers the associated user to concentrate on the value-add part of his/her job rather than spend the bulk of the time trying to collect and process the right data. The purpose of this post was to provide an introduction into the practical and concrete ways that an IoT initiative can provide value for commercial silo operations. As with any IoT implementation it is important to remember that such a project must carefully coordinate the associated physical and IT technology, as well as personnel training and business process management. To discuss in more detail, reach out to Phillip Azanov or Matthias Hollenders.